PSD2 or Second Payment Service Directive was implemented in Europe with an aim to create safer payments and offer improved financial services to the customers. The regulation came into effect on 13th Jan 2018 and simplified rules and regulation for payment services across the European Union. Since then, there have been numerous articles and e-books on PSD2 explaining the concept to the general public. 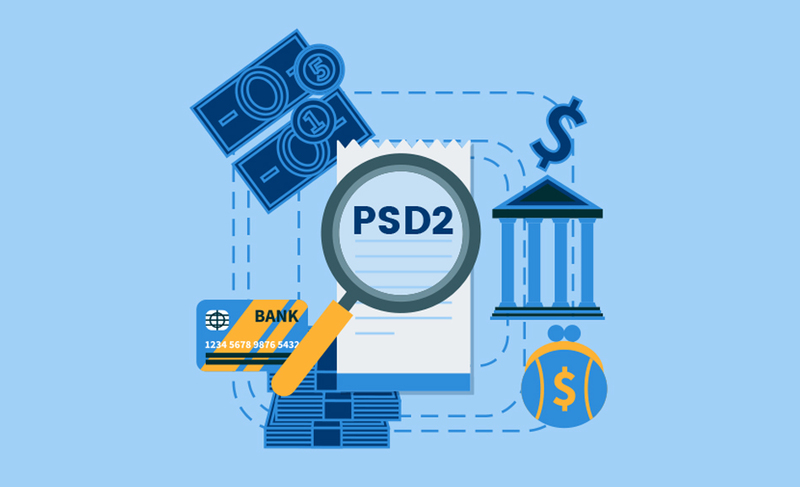 It is our attempt to help you understand PSD2 in a nutshell. simplify banking rules to regulate payment services across the European Union. enhance customer security and provide with better banking experience. promote competition and innovation in financial services. Here are five important things you need to know about the regulation. Considering the main purpose of PSD2, the UK government established the concept of Open Banking with the idea of encouraging competition and decrease service costs for consumers. Under Open Banking, the data collected by banks will be shared through secured APIs to let customers manage their wealth and financial decisions effectively. Talking about the use of APIs, let’s understand this in the third critical point that explains PSD2 in a nutshell. APIs will grant non-bank companies like e-commerce giants and third-party services open access to customer’s bank details. The use of APIs will also allow third-party developers to build customer-focused solutions using technology across the financial services landscape. Many companies are developing innovative tools and services addressing the major pain-points of customers. PSD2 is revolutionary as it opens up banking and finance sector to non-bank participants. The future of financial sector lies in the collaboration of conventional banks and fintech solutions. However, security of customers’ data is amongst the major concerns here. Fraudulent transactions and cyber hacks are on the rise across the world. PSD2 encourages using ‘secured APIs’ and multiple-level authentication to provide transaction security. This might help in providing customers with innovative services while maintaining safety standards. PISP: Payment Initiation Service Provider, abbreviated as PISP, is the service provider initiating payment on behalf of the consumer. It involves fewer parties (minimizing the involvement of banks) and does not require the customer to reveal the bank details during the payment. AISP: AISP or Account Information Service Provider is the firms that have access to details of bank customers. AISP is meant to provide an overview of customer’s payment account details with an aim to make banking simpler for consumers. The open banking system and APIs will allow banks to share their data with third-party services opening up an array of opportunities. It will also allow banks and fintech firms to collaborate and generate innovative products and services to transform the lives of the customers. Apart from providing customers with better banking services PSD2 will open ways to new revenue streams for banking and non-banking firms. A lot of opportunities are out in the market and, with the rapid worldwide emergence of fintech organizations, we can see solutions meeting customers’ requirements effectively. It might be too early to say how the banking and financial services future will look like however, banking will become simpler for customers as PSD2 promotes innovation and focuses more on customer satisfaction.